Pope & Guthrie, Tomorrow, Today, North West Cambridge Development Art Programme, 2014. Photo: Joe Plommer, all rights reserved. Working with the University of Cambridge, the Contemporary Art Society together with InSite Arts has managed a successful first year of artist residencies in the North West Cambridge Development site. 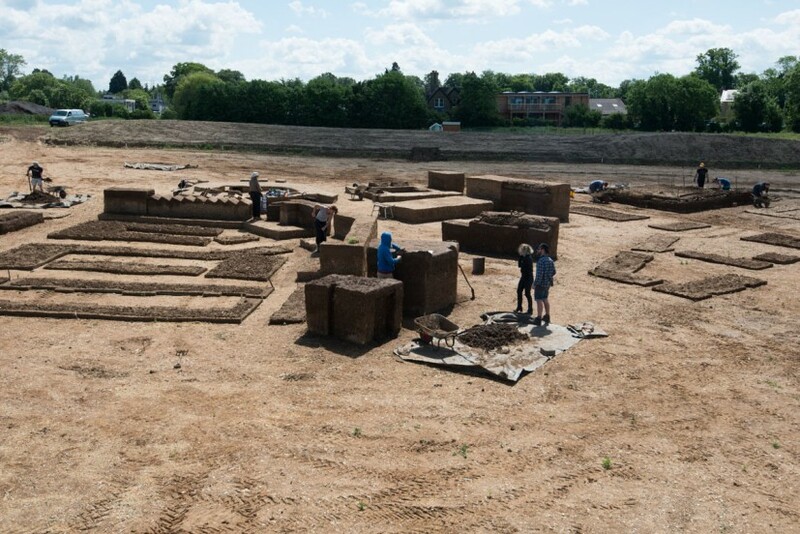 Tomorrow, Today by Nina Pope and Karen Guthrie (Somewhere) is a participatory sculptural landform inspired by the artists’ research collaboration with the University of Cambridge’s Department of Archaeology. 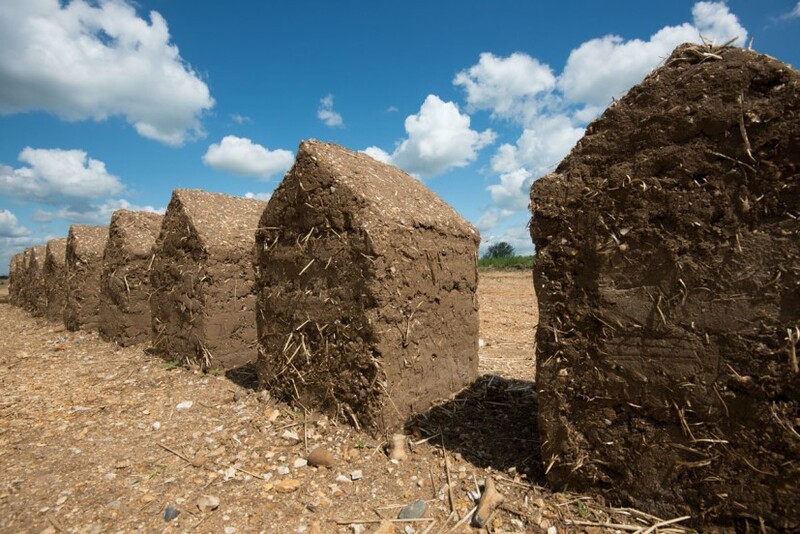 The work takes the form of a three dimensional model of Phase 1 of the development and was built entirely by volunteers trained in cob building. 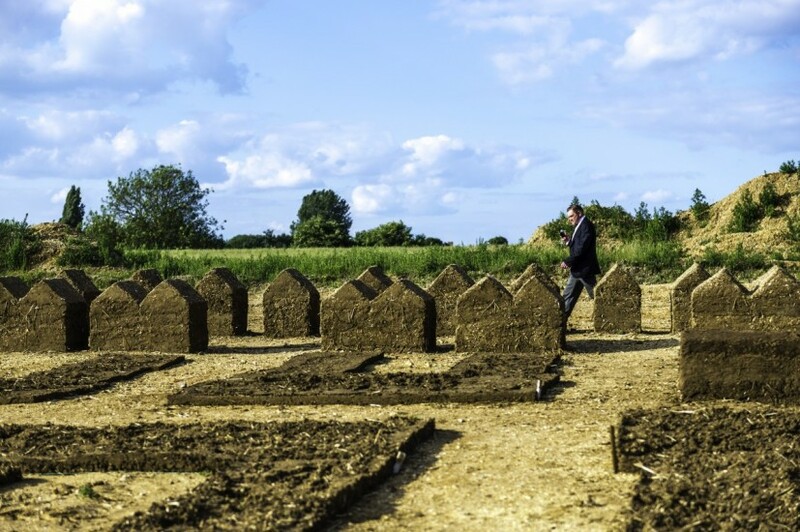 The project invites the audience to actively contemplate the future community and townscapes that will comprise the North West Cambridge development.